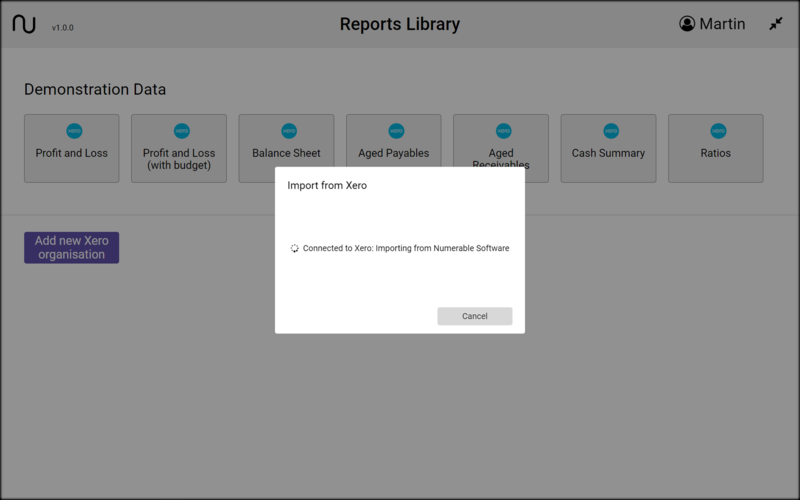 Before you can explore the reports and prepare presentations you need to get the data from Xero, by following the steps described below. 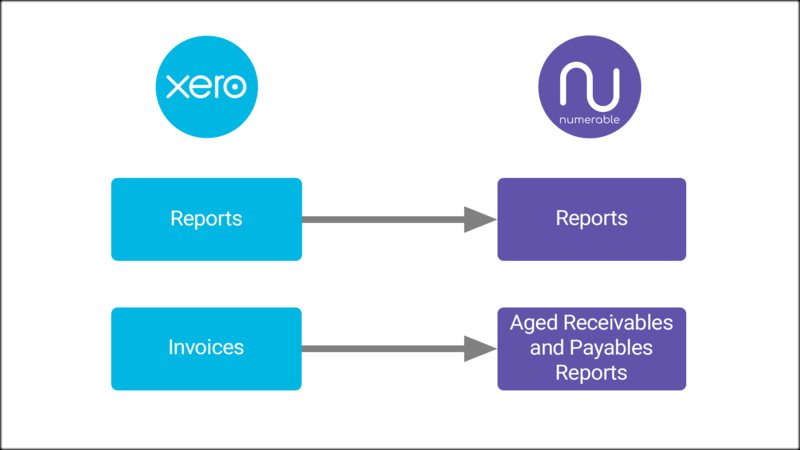 Numerable copies reports and invoices data from your selected Xero organisation into Numerable. Numerable never writes anything to Xero. 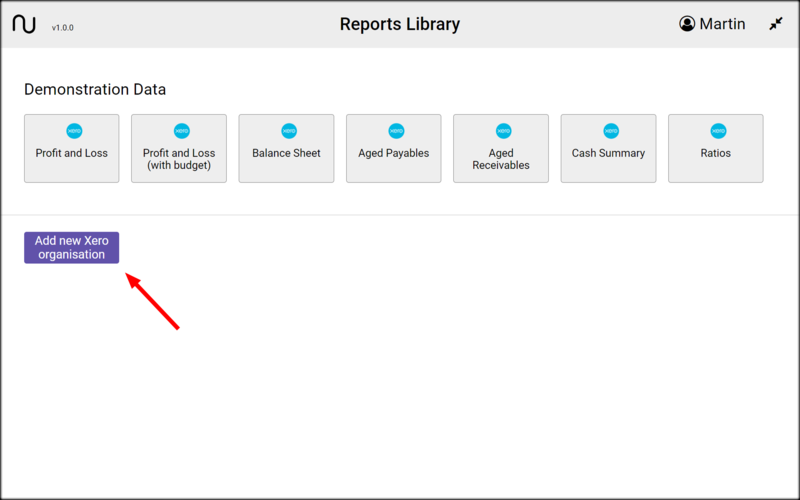 To import reports data for an organisation, go to the Reports Library page in Numerable. If you want to import a new organisation then click on the ‘Add new Xero organisation’ button. 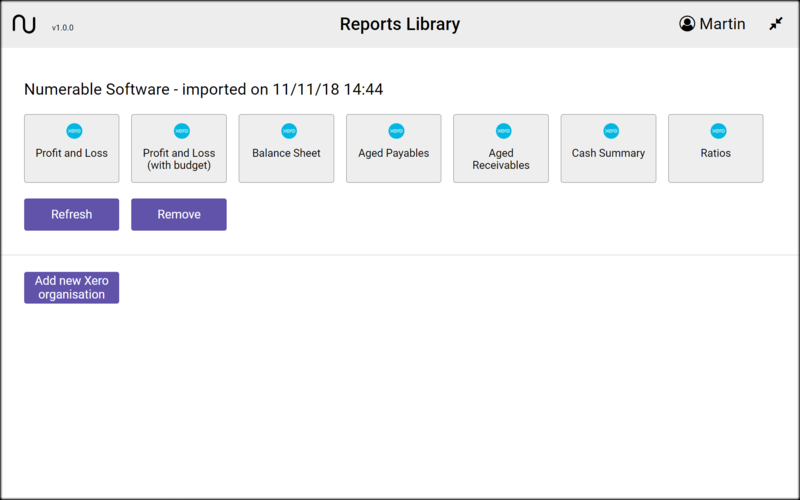 If you have previously imported an organisation then you see a ‘Refresh’ button and can click on it to start the process of importing fresh data. Click on the ‘Sign in to Xero’ button to go ahead. 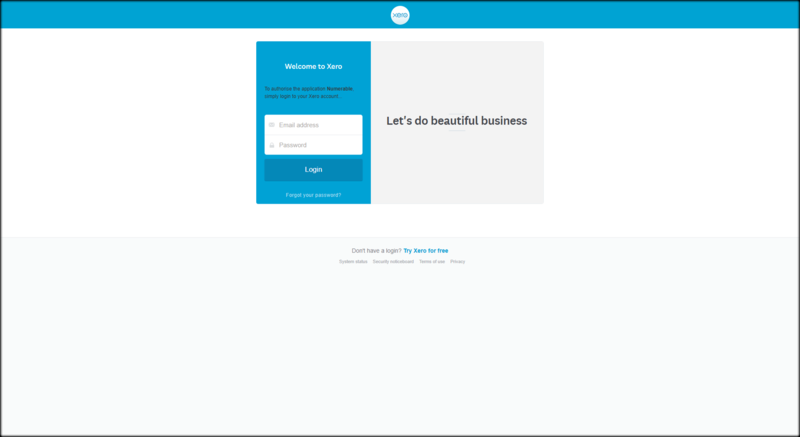 You are taken to the login page on Xero’s web system. Enter your Xero login email address and password. Numerable does not have access to this email and password. 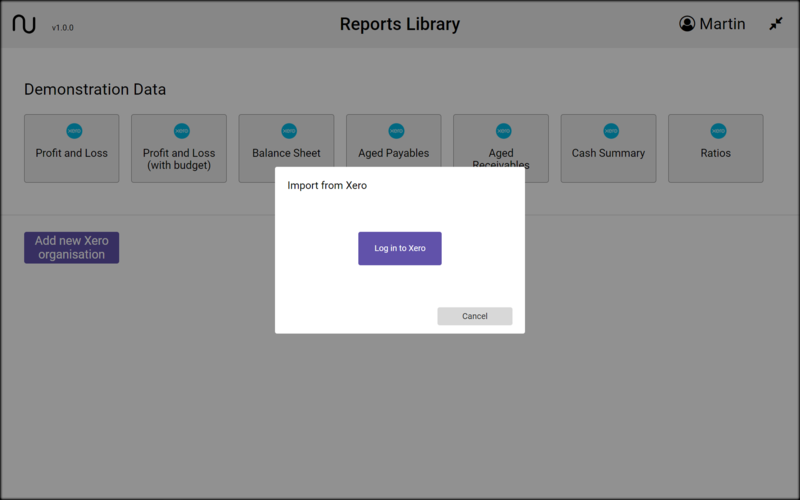 The next page, which is still on Xero’s web system, let’s you select which Xero organisation you want to import from. If your Xero account has more than 1 organisation you can choose the one you want from the drop-down menu. That is not necessary if you only have access to one organisation, or if the menu is already showing you the one you want to import to NumerableWhen you are ready, click on the ‘Allow access’ button. 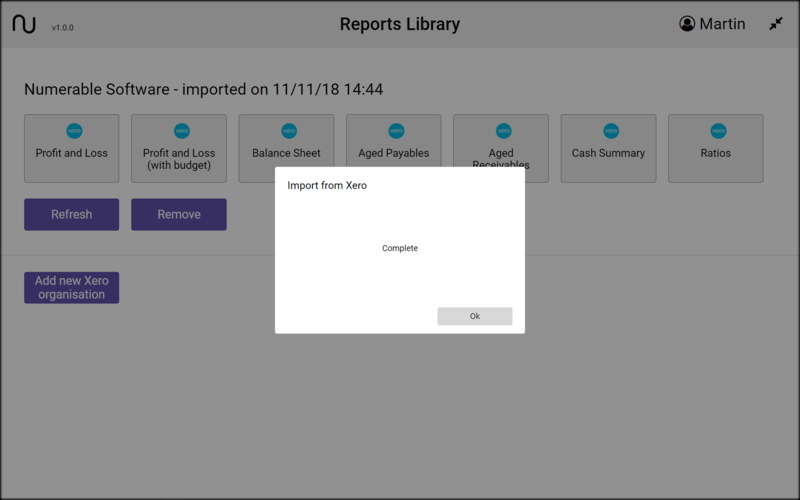 During the import of data you are shown a message confirming that the import is taking place, and the organisation you have selected. The import typically takes between 10 and 1 minute. When the import has been completed, the message tells you. 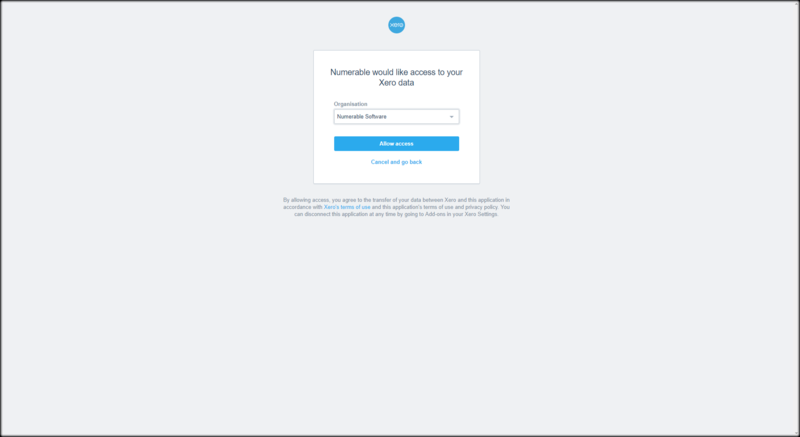 It also confirms that Numerable has ‘disconnected’ from Xero and can no longer access data (until the next time you request it). You can check that the import was successful by looking for the updated time and date next to the organisation name. Just click on any of the report cards to start exploring the new information!